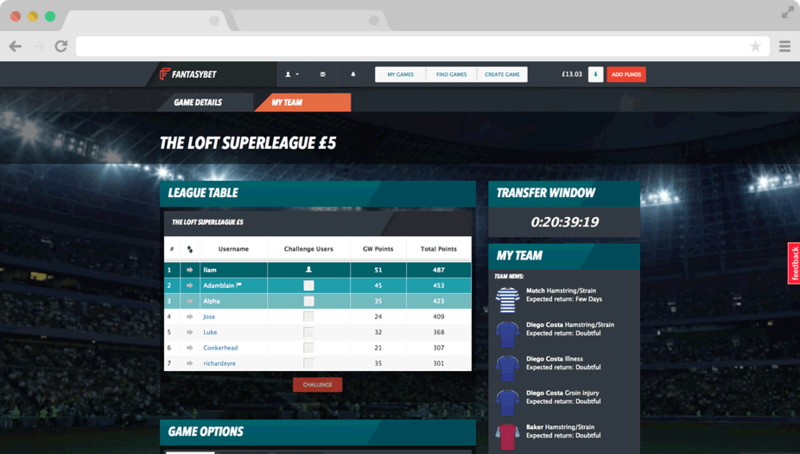 FantasyBet brings together fantasy football with online sports betting. 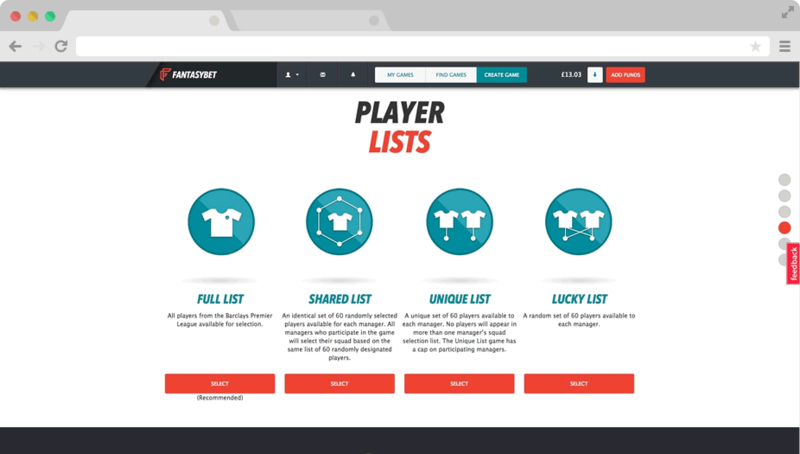 The site is a complex, bespoke development that integrates with Opta, the football data specialists, to feed in player information live. 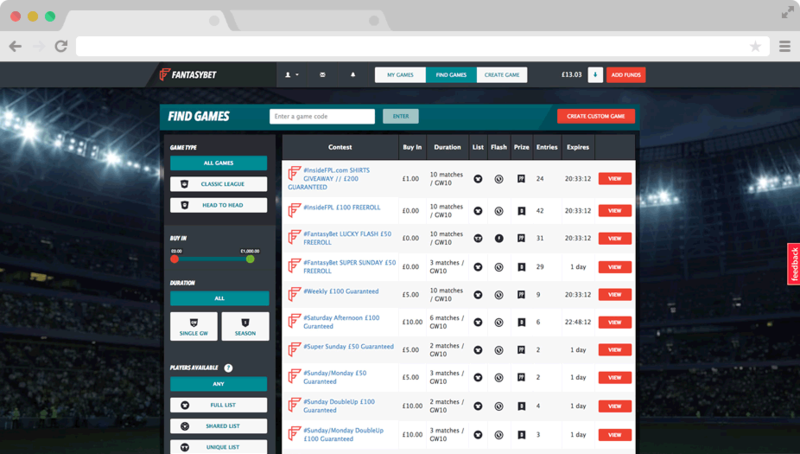 We built a bespoke gaming platform for the FantasyBet project, which integrates with WordPress, giving the FantasyBet team easy content management and a platform to handle bets and payouts. 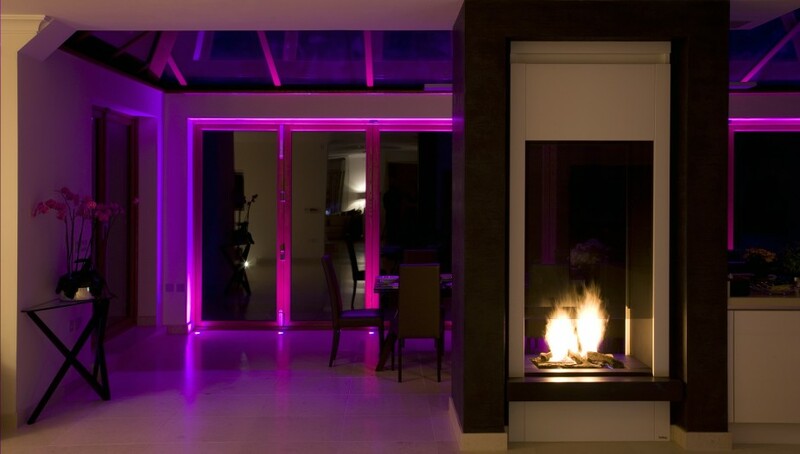 Read more about the technical side of the project and how we used AngularJS in our blog. It’s not just season-long games here! 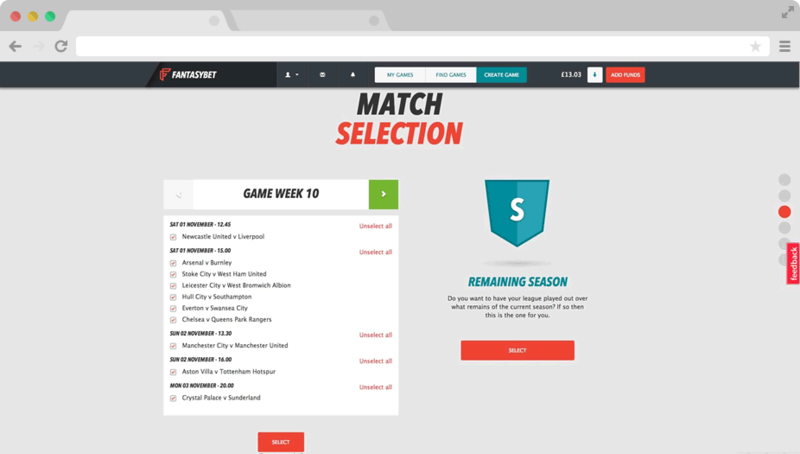 Players can create week-long or even custom fixture lists to compete over. To add another twist, we built a game feature that generates random player lists to keep things really interesting. The site is set up to allow players to quickly find the game types and prize pots they are interested in. Once ‘in-play’, live data is processed from Opta so that players can see real-time updates on their games. When we started our company, we had a great idea for a website, but no technical knowledge on how to build it. After thorough research and meeting agencies across Europe, we hired Teabag, and they have proved to be everything we could wish for in a digital partner not only do they bring top-notch technical competence to the table, but they are working towards the same goals as us, and are going out of their way to make our business successful.